The NKJV Reader’s Bible provides readers the perfect opportunity to read the text in its original, simplified form without the verses and chapters, allowing a fresh experience with the text. 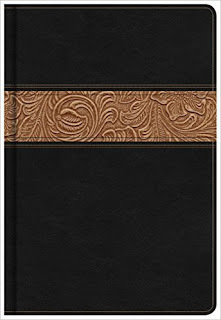 NKJV Reader's Bible by Holman Bible Staff is a beautiful Bible! I love that I can read this Bible text in its original, simplified form without the verses and chapters allowing for a whole new Bible reading experience. The text isn't broken up like most Bibles and it allows for easier reading. NKJV Reader's Bible by Holman Bible Staff is extremely well made and I love that the cover is extremely thick to protect it's precious insides. If your looking for a Bible that flows more freely and enables an easier reading experience then look no further than this wonderful NKJV Reader's Bible by Holman Bible Staff! You can find NKJV Reader's Bible by Holman Bible Staff on Amazon, Barnes and Noble, LifeWay and other bookstores.